The Happy Amateur: "Poetic Bloomings, the first year" is here! 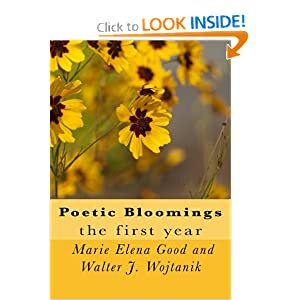 "Poetic Bloomings, the first year" is here! Do look inside, do consider getting a copy. Just received mine yesterday. It’s a beautiful book, a true feast for the senses. Marie and Walt, the constant gardeners of the poetic universe, never cease to amaze. Thank you so much, Marie and Walt, for everything you do.